Model T Ford Forum: How to pick lock on 1914 pat Corbin wheel lock/boot? 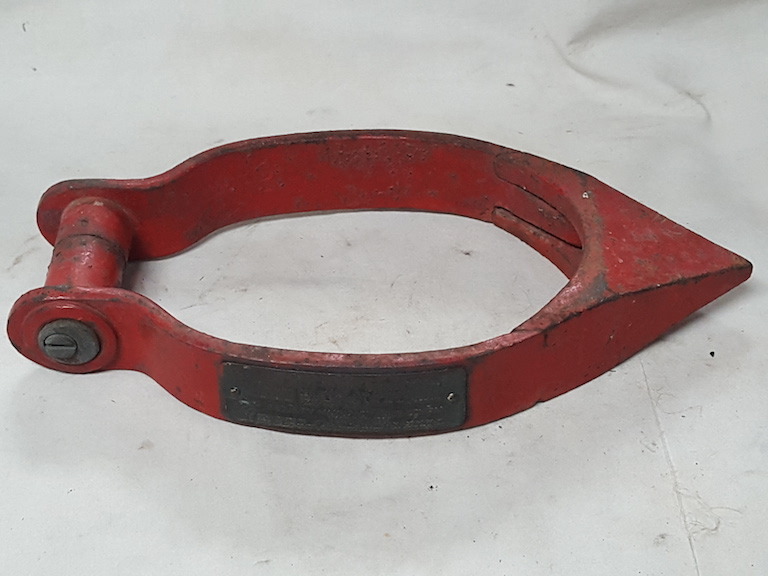 How to pick lock on 1914 pat Corbin wheel lock/boot? Model T Ford Forum: Forum 2018: How to pick lock on 1914 pat Corbin wheel lock/boot? I have purchased a 1914 pat. Corbin wheel lock/boot through MTFCA classifieds. Love it! Does anyone know someone in Southern Ontario, Canada, who can pick the lock and then cut a key. My local locksmith seems a little bemused by the historical challenge....OR....Does anyone have a key or key blank for this?!! !..All ideas and suggestion welcome. Corbin locks have a code of some kind that a locksmith should be able to use if you can find an old time locksmith with that information. The problem is often that the tumblers are frozen. I have 4 of those wheel locks and a locksmith was able to pick the lock and make up a key for one of them. One could not be freed up and the other two had keys. I soaked the one that was frozen using 50/50 acetone and ATF for a year with no success. I live in San Diego and it took me forever before I found a locksmith that could pick the lock, and it took him 6 weeks! But they're out there. Keep looking and good luck. The following link has numerous patent numbers for Model T era anti theft devices. It is very interesting and might help. When the patent drawing comes up click onto it and to magnify it, use the + sign below the drawing. One patent number that comes close to the Corbin is 1343709.
if I may.......the blank is ILCO 1000 K . It is a five pin cylinder and turns to the LEFT to open. There's one on eBay with two keysif all else fails. I THINK it's the same one. Thank you John. I have found 2 ILCO 1000K blanks..Will try to get this to happen! 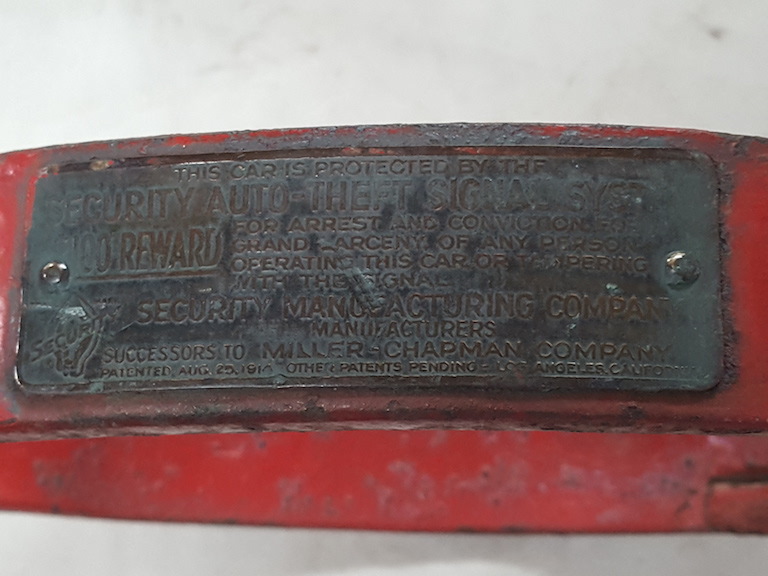 Hi Andrew,The lock that I have has a Curtis Industries Canada key blank CO-8.If you get the Old Autos newspaper here in Canada,there is a vintage locksmith who has an ad, that may be able to help you. I figure it would make a loud racket trying to drive away with it on, may even make contact with fender. Probably effective during a time where passerby's would report or question malfeasance if a T went by with one on. Not like today where everyone is oblivious with their nose into their phones. The point goes out and sticks in the road, if you try to drive away. I saw a guy put one on his tire for a show display and then drive away, without remembering to removed it. It only took about 3 loud klunk-klunks to let him think he had a flat and check the tire. Years ago on a local Model T Club tour when we stopped for lunch one of the guys put his on a rear wheel for demonstration. Forgot it of course and when he tried to drive away it swung around and jammed between the tire and the fender just above the running board. Raised a terrible dent in the fender but showed how strong Model T steel is, stopped the car and did not rip a hole thru. Had a heck of a time getting the wheel rotated back so the lock would come off. Here is an old locksmith trade secret. If you find a key blank that fits in the lock properly, you blacken it on both sides of the area where the notches will be cut. A sooty match was used in the old days, now a black marker pen is used. Insert the key blank and wiggle it both ways a few times. The lock tumblers will remove the black areas where they make contact with the key edge. Those notches are standard depths with a math ratio for 3 to 5 depths most of the time. If you have an old key that fits the lock, measure the notch depths. They were kind of standard, but there were several different scales. File a notch to represent the first depth. Blacken the key again and insert it again. File the notches to the next depth for any shiny areas. Repeat the above steps about 3 times and the lock should open with the key. Some lowlife steals your car, just follow the dotted line and presto ! The too, quite often the key or lock had a number on it. If the numbers were all between 1 and 5, they could correspond to the depth of each required notch cut. The first number corresponds to the key handle end.